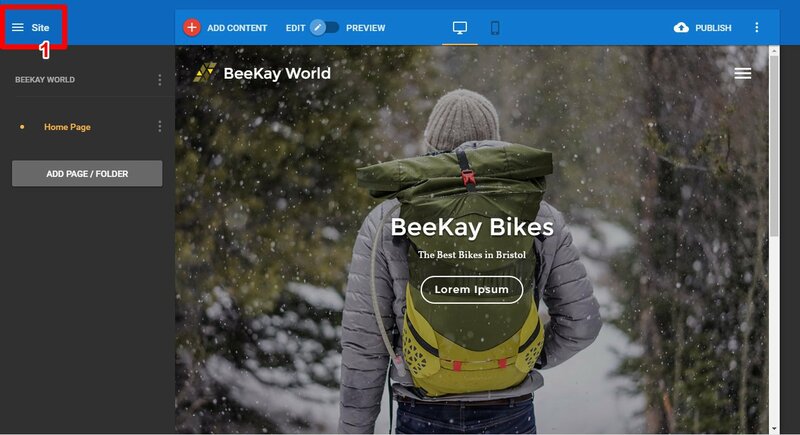 If you are comfortable with HTML and CSS then you can make more detailed changes to your site using the template editor. 3. Accept the conditions of use. Check on a file you would like to edit in the sidebar. Begin editing the code in the main panel. Files that have been changed but have not been saved, are marked with a *. Note: If you are editing a template from the template picker, you will be editing a copy of that template. 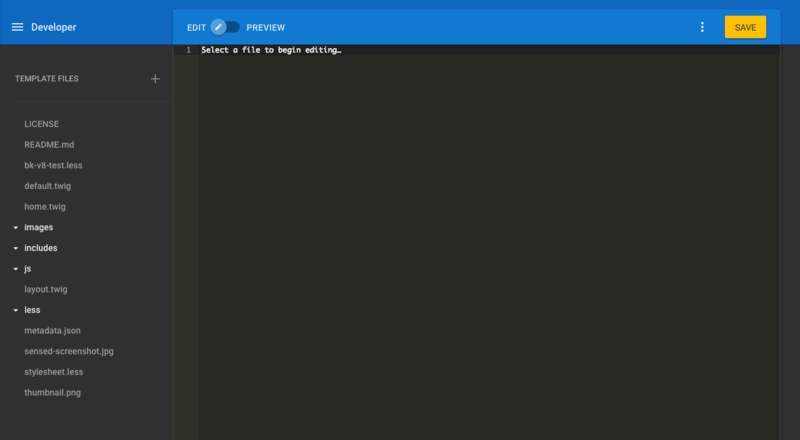 If you want to revert back to an original template, return to the template picker and select a template from the list. You can save using either the Save button in the editor or by using the keyboard shortcut: Command+S (Mac) / Ctrl+S. You can upload and download templates from GitHub, or as a ZIP file from your computer. 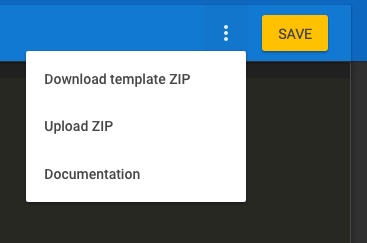 To upload or download a template, click the options icon shown in the top right. Files and images can be added to your template by dragging them into the treeview or into the main editing pane. 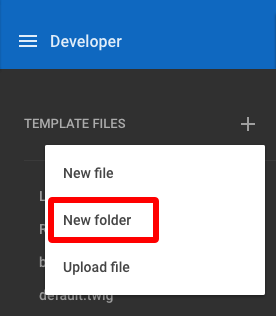 They can also be added directly into folders by hovering over the desired folder to open it and dropping the file inside. Files can also be uploaded, or created, by clicking the + button at the top of the treeview. 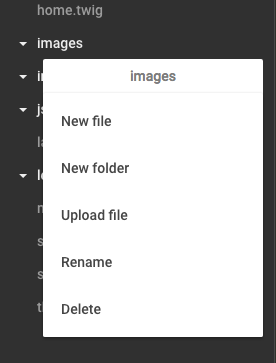 Click on the + button at the top of the treeview to add new folders. Folders added in this way will be added at the top most level and not into another folder. 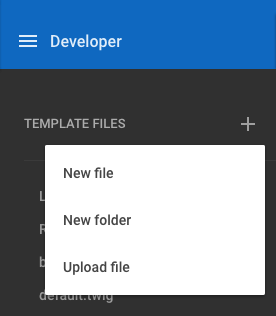 To add a file, or folder, to a specific folder, right-click on the destination folder and add them from the menu. Click on a file to open it. Clicking on another file will open it in a new tab within the editor. Preview your changes at any time by using the Preview toggle. This will show the site fullscreen with any changes that have been made. Delete: Delete the file or folder. Note that some core template files cannot be deleted. 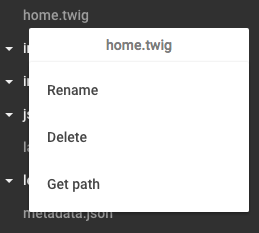 Get Path: Show the path of the file or folder.